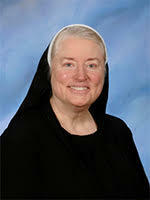 Sr. M. Paul McCaughey, O.P. is the 2015-2016 Lund-Gill Chair in the Rosary College of Arts and Sciences. A member of the Dominican Sisters of Springfield, Sr. M. Paul has served in Catholic education as an elementary and high school teacher, secondary principal and president, and superintendent. As Superintendent of the Archdiocese of Chicago Catholic Schools from 2008-2014, she oversaw the largest Catholic school system in the United States. Currently she serves as Archbishop’s Delegate for School Advancement and Advocacy, working with the $350M To Teach Who Christ Is Campaign and school choice legislation. She holds master’s degrees in theology from St. Louis University and in international business administration from the University of Notre Dame. Sr. M. Paul has been honored for her exceptional leadership and contributions to Catholic education by the National Catholic Educational Association, AdvancED Illinois, the Notre Dame Club of Central Illinois, and the American Catholic Press. In spring 2016, Sr. M. Paul will teach an undergraduate honors theology course, “Saints, Scholars, and Activists: The Dominican Integration of Truth.” The course will explore the impact of the pursuit of truth on theological thinking, educational approaches, and political engagement. On Wednesday, February 17, at 7 p.m. in the Martin Recital Hall, Sr. M. Paul will deliver the Lund-Gill Lecture, “800 Years and Counting: Veritas and Caritas at the Heart of Catholic Education.” Sr. M. Paul will discuss how the Dominican charism is as needed now in education as in the days when St. Dominic Founded the Order. Scholarship, prayer, community and preaching provide the framework for addressing the educational challenges of our own era. Study as research and social analysis, prayer as the presence of God, community as solidarity with all life, and preaching as speaking/acting with integrity—all unlock new ways of viewing education in a complex age. The lecture is free and open to the public. Visit events.dom.edu/siena to learn more about upcoming programs that help mark the special Jubilee year.